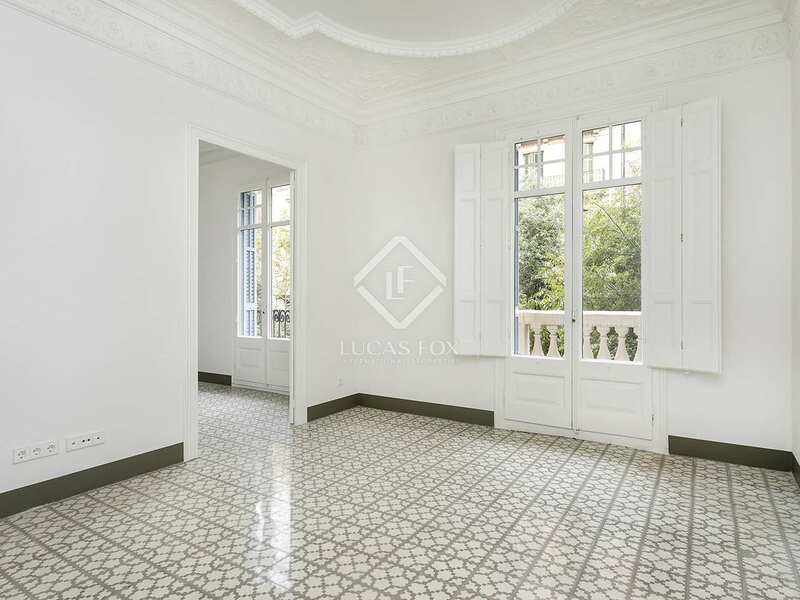 Beautiful apartment to rent in a 'finca regia' with stunning period features and large living spaces. 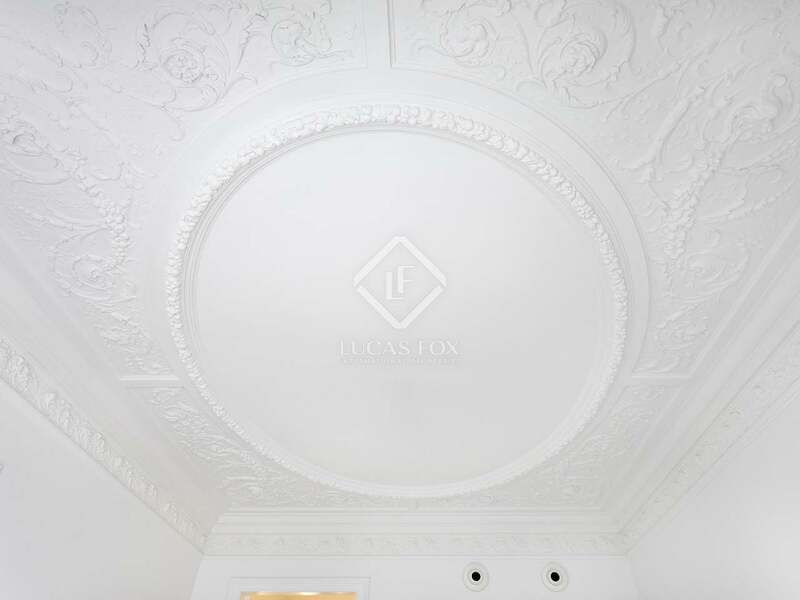 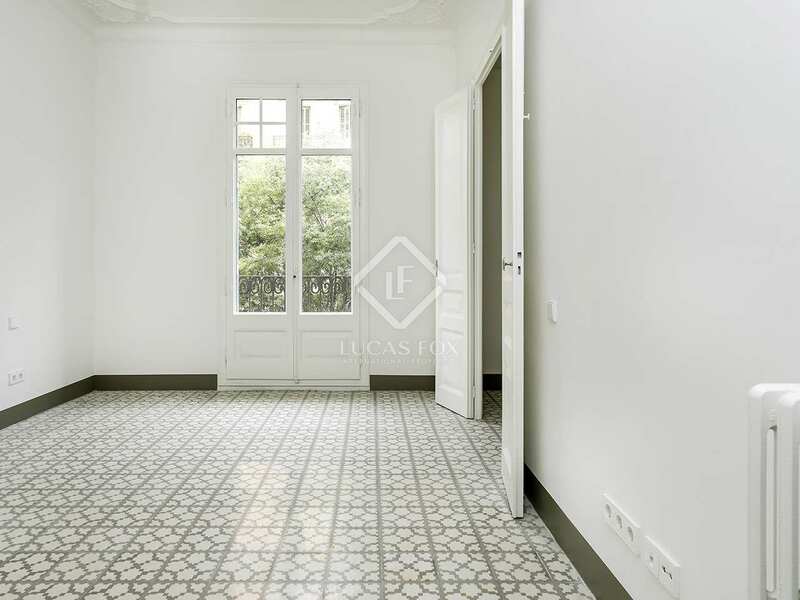 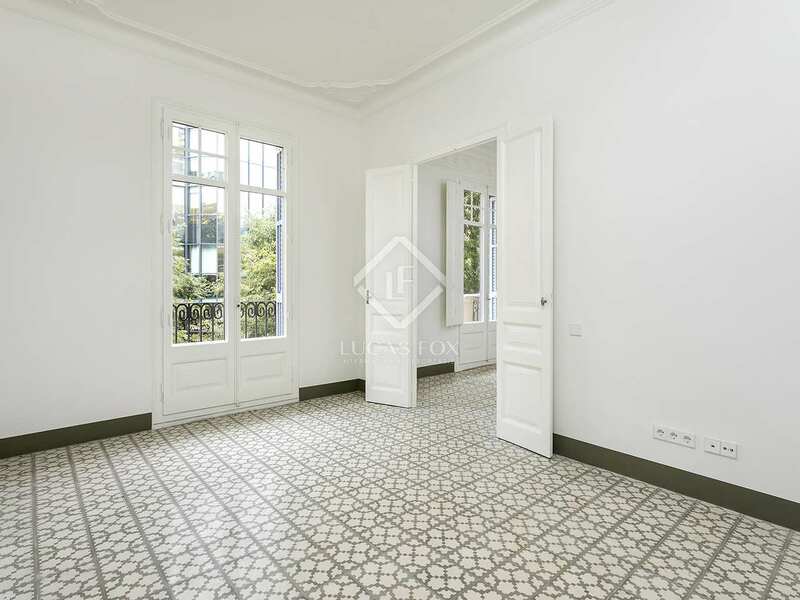 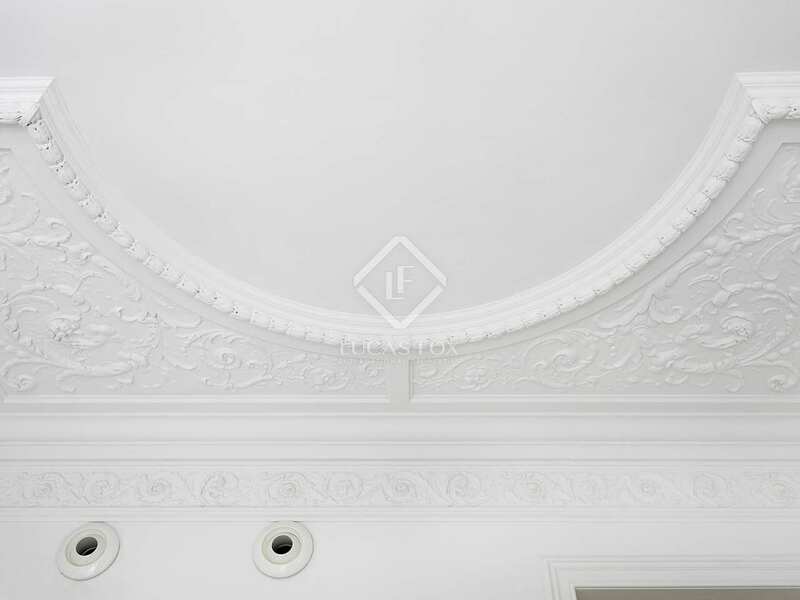 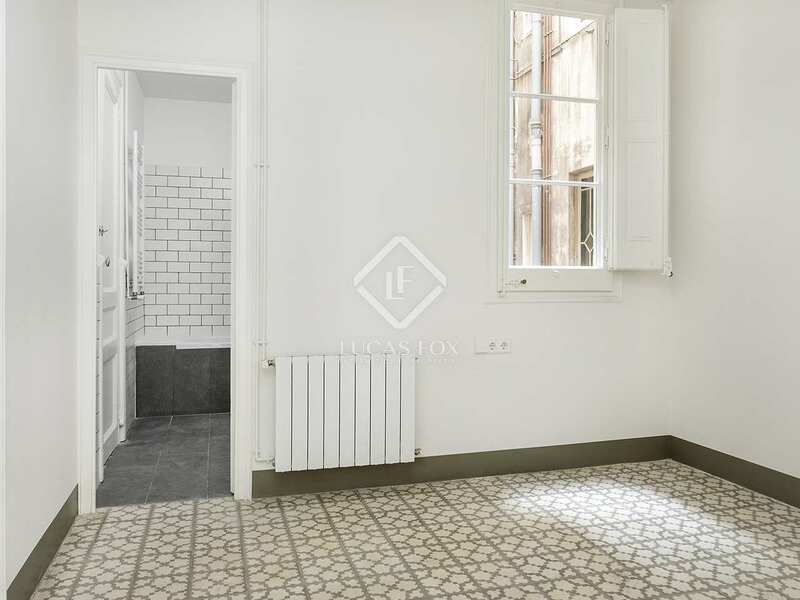 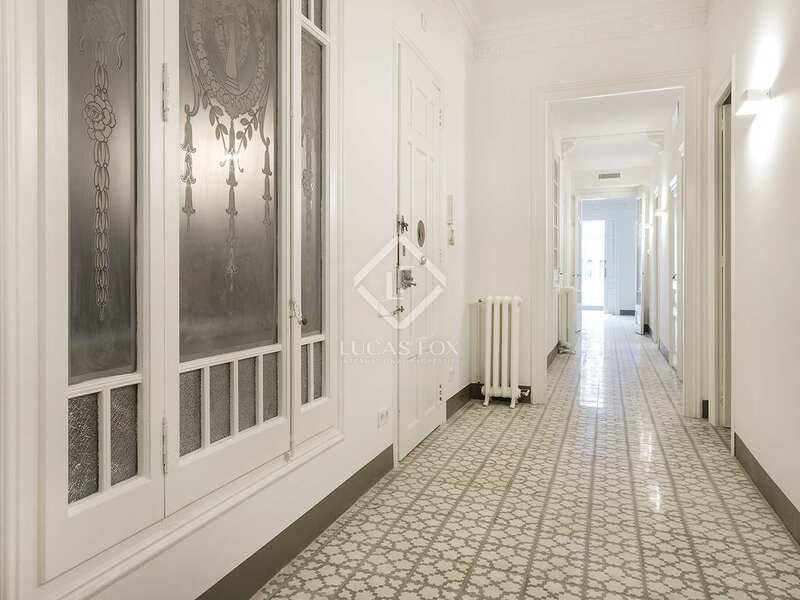 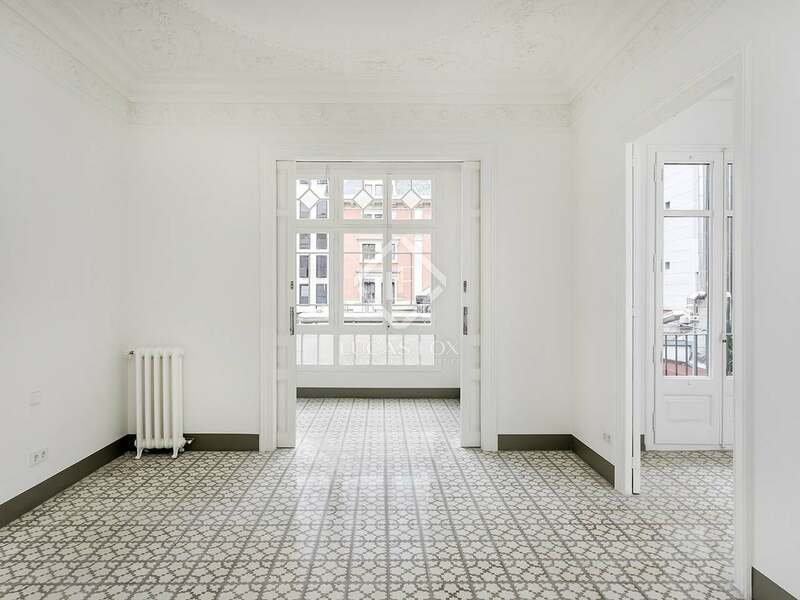 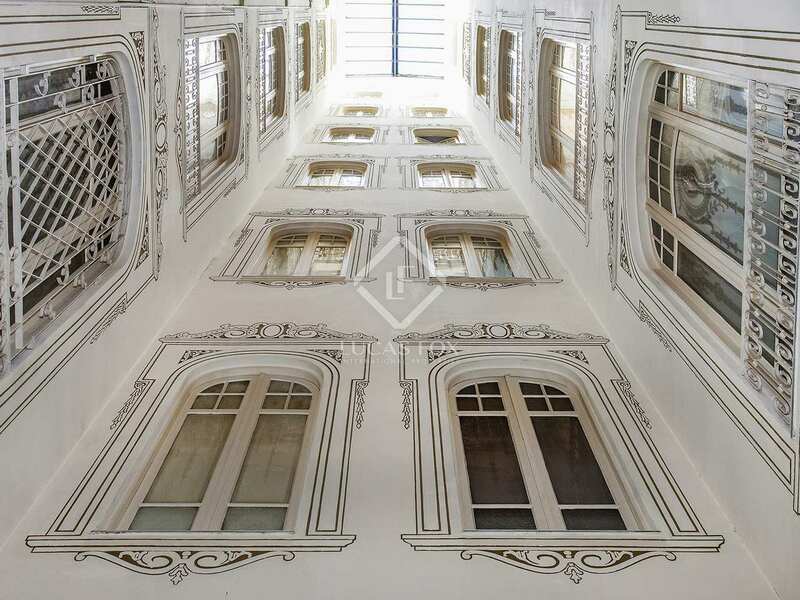 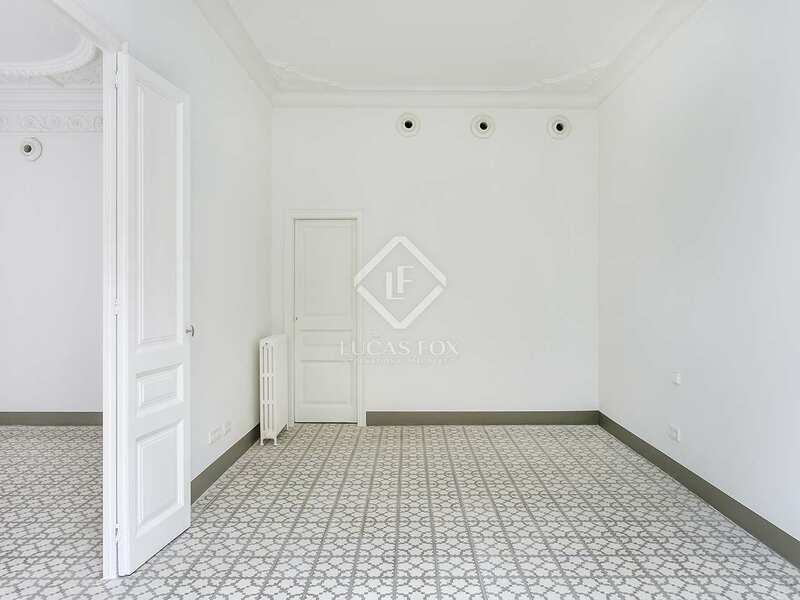 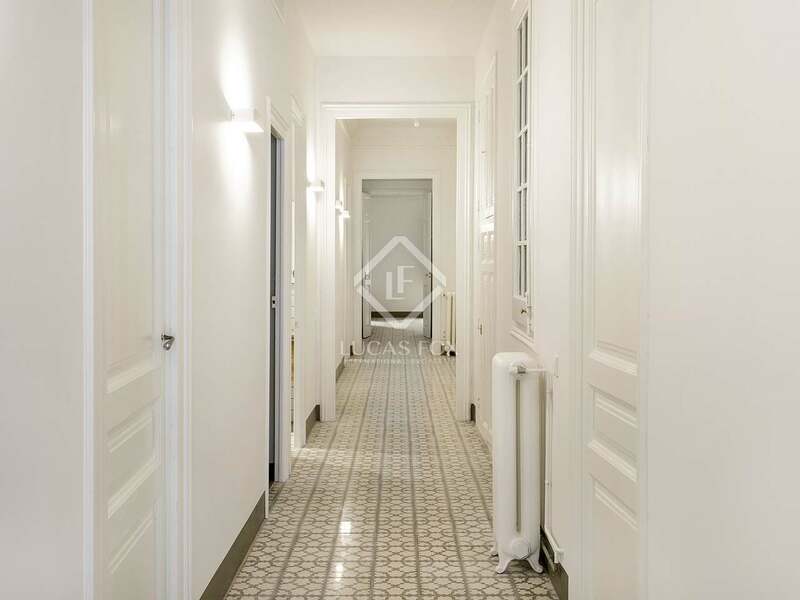 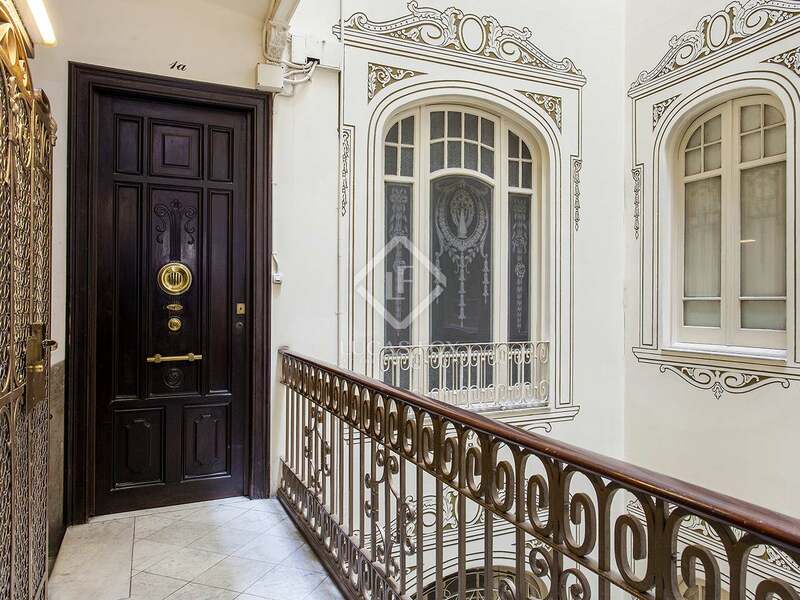 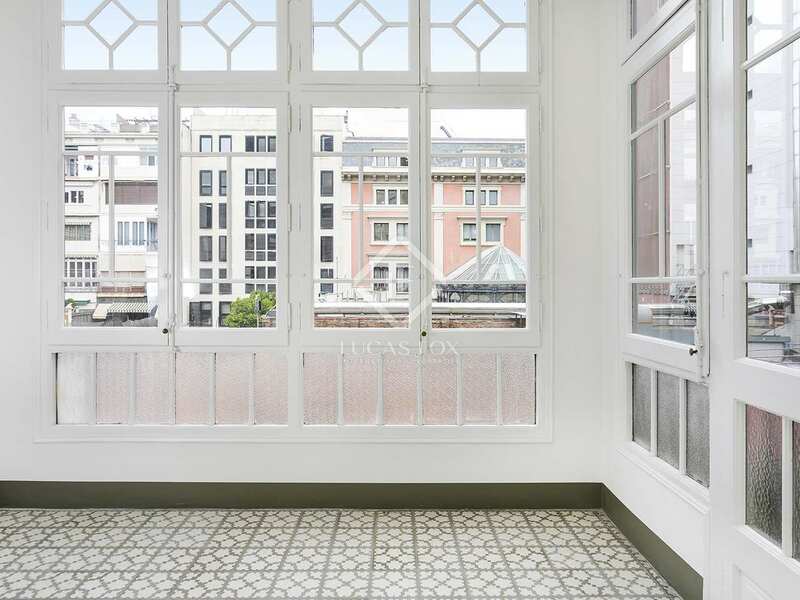 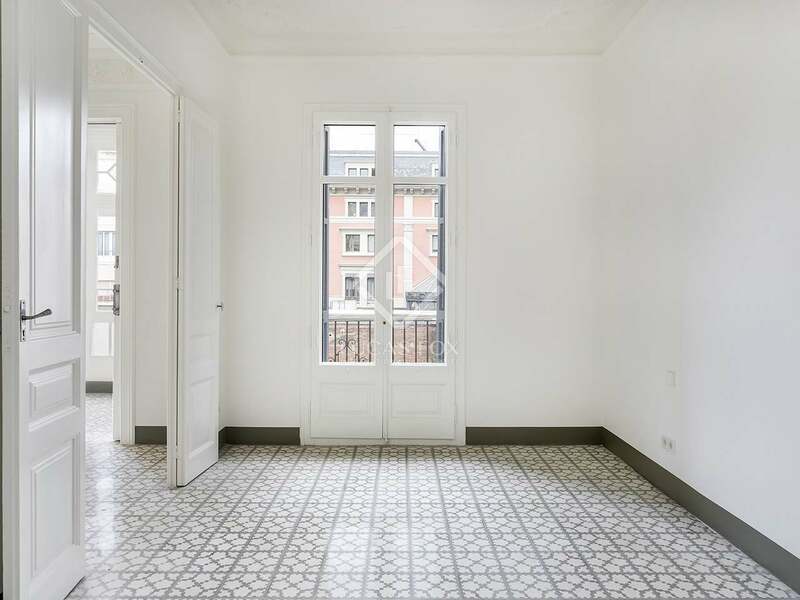 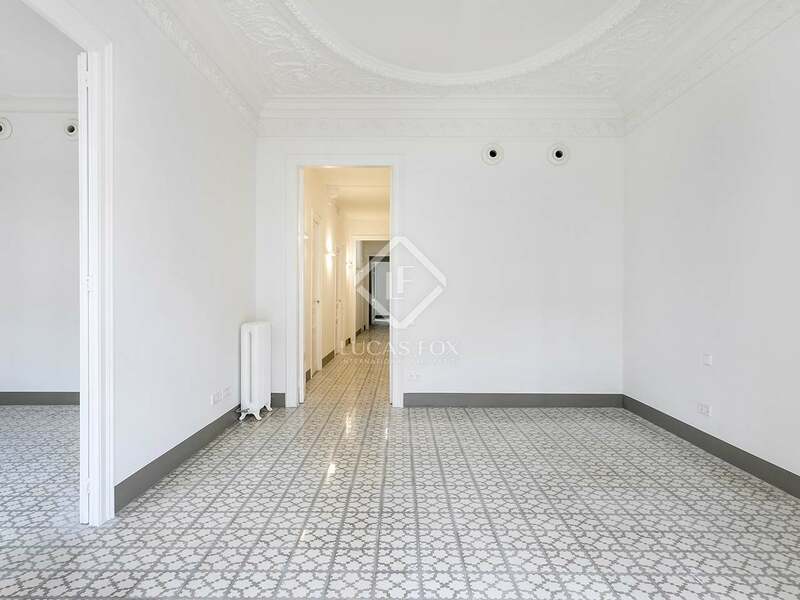 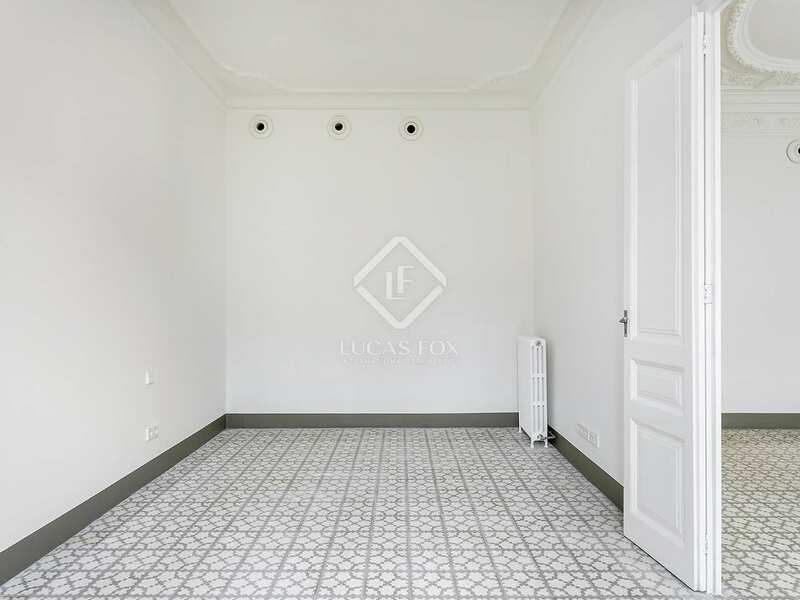 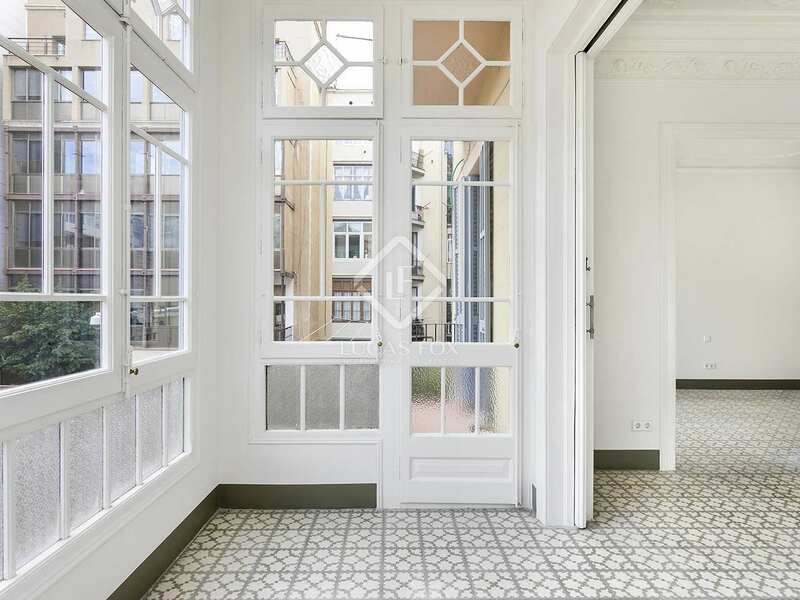 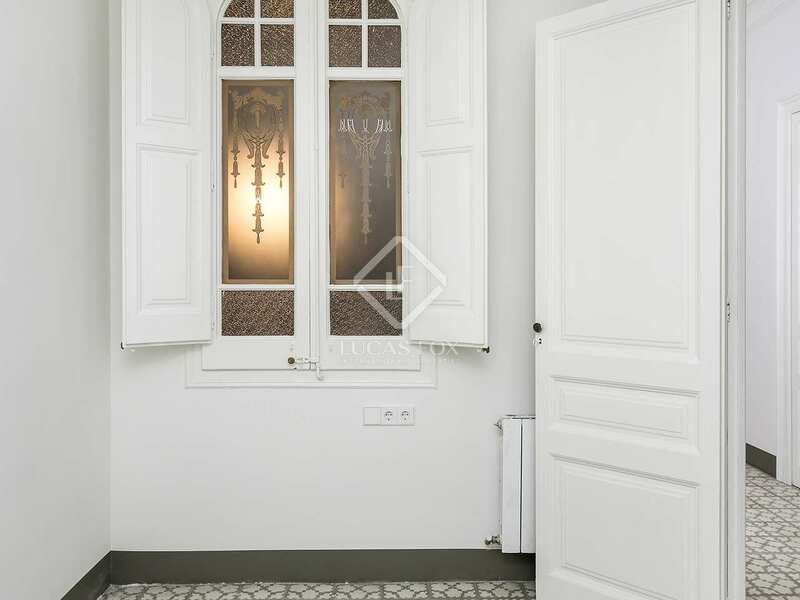 Within a beautiful 'finca regia' building, this apartment to rent boasts many of the features typical of Barcelona's Eixample district including high ceilings, original tiled flooring and decorative coving. 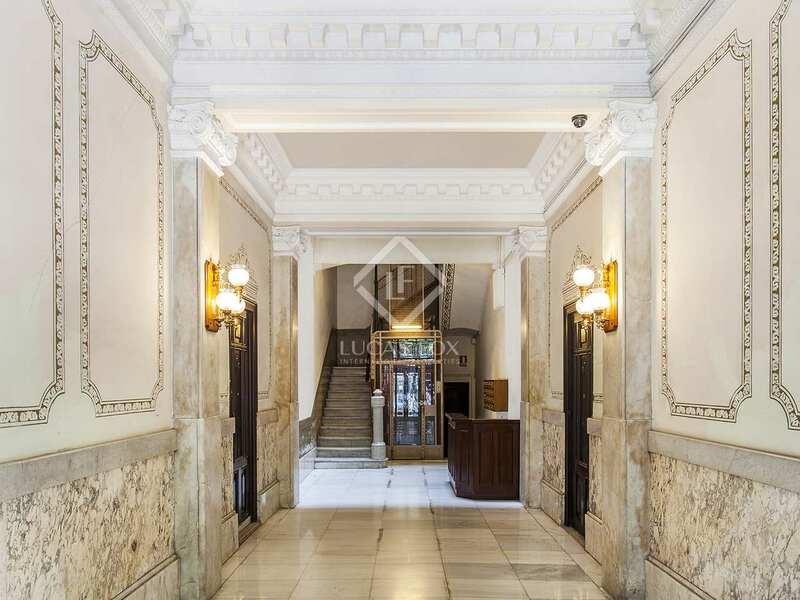 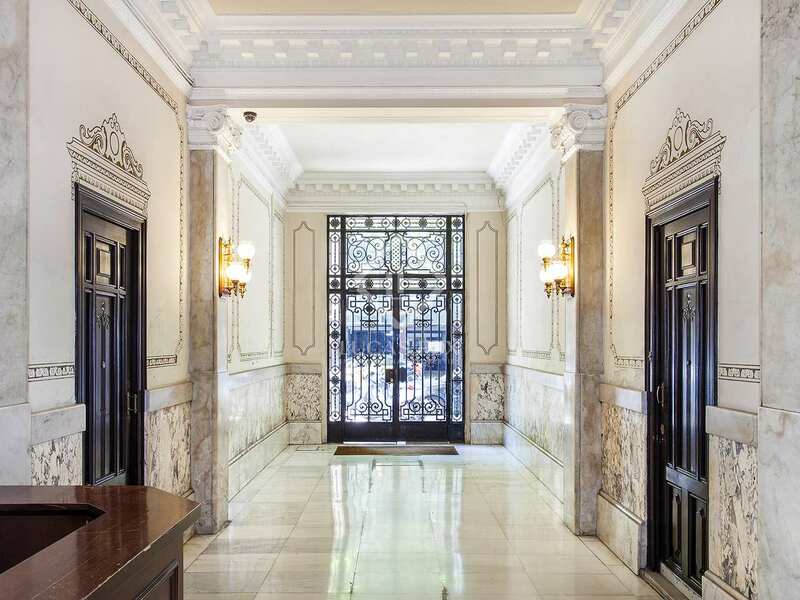 The building itself has a beautiful entrance with a lift. 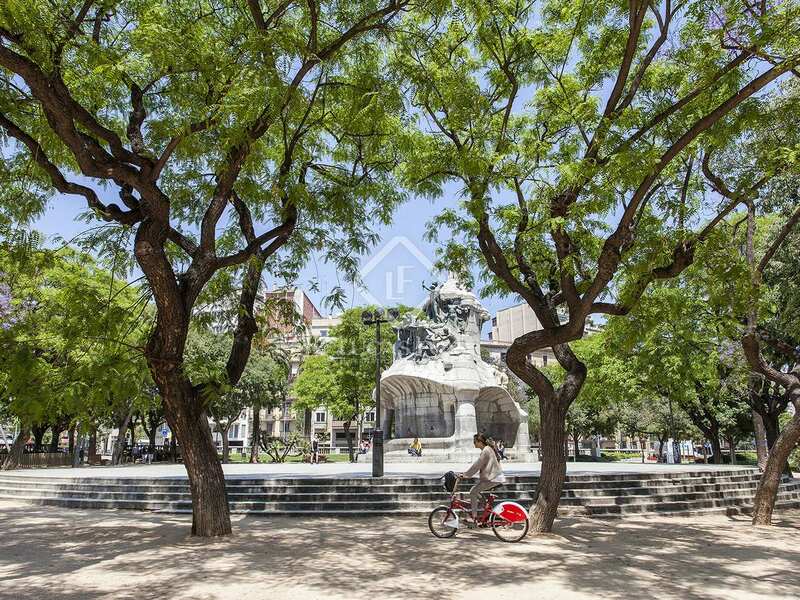 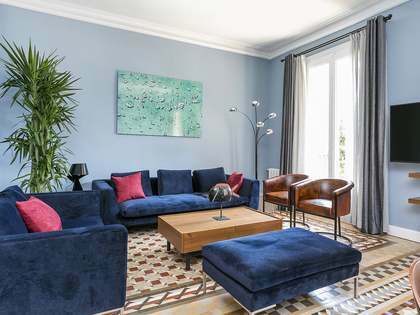 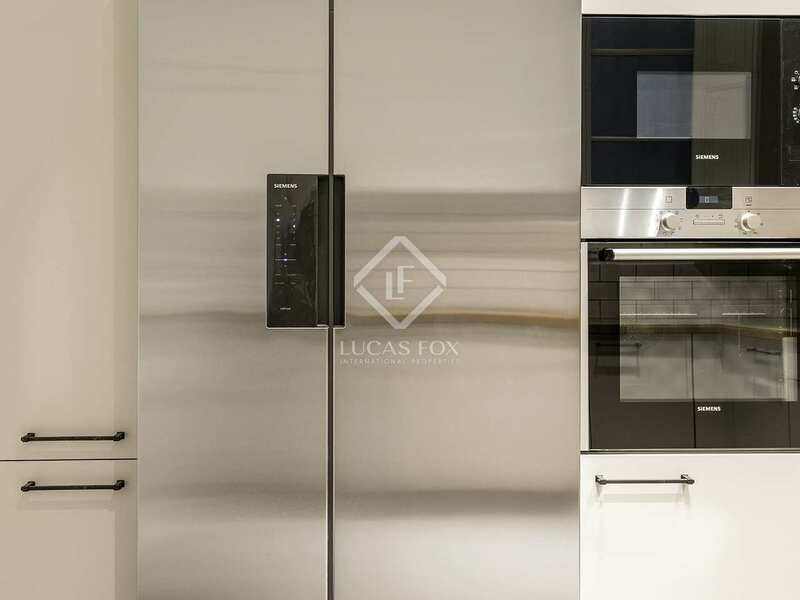 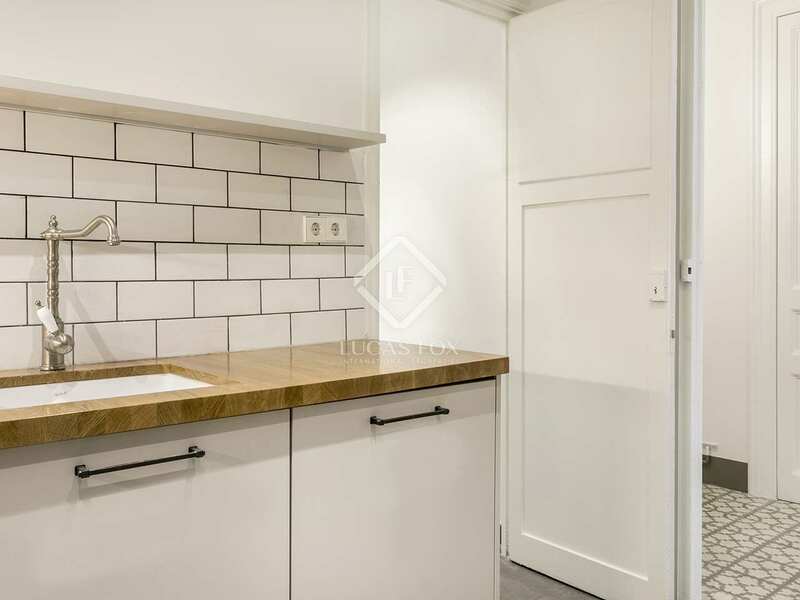 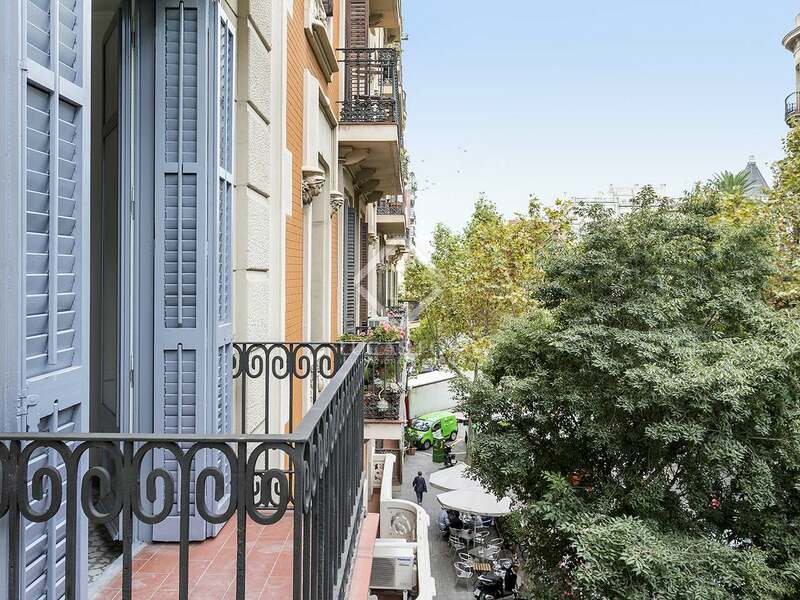 Not only this but, next to Passeig de Sant Joan and Plaza Tetuan and just 10 minutes on foot from the exclusive Passeig de Gràcia, the apartment is in a highly sought-after area of the city with an excellent commercial, gastronomic and cultural offering. 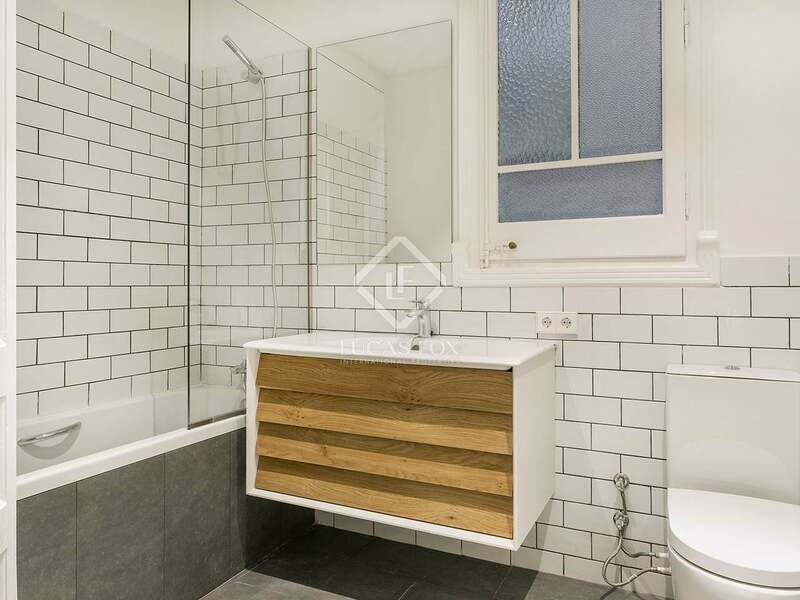 The apartment has clearly defined day and night time areas. 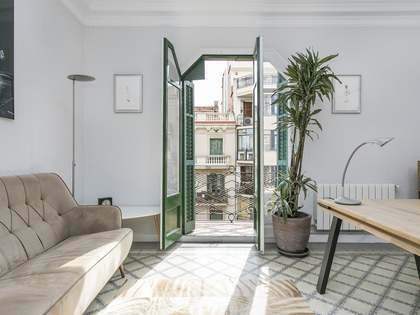 The 25m² living-dining area opens onto a wonderful gallery which fills the space with natural light and overlooks the peaceful interior courtyard. 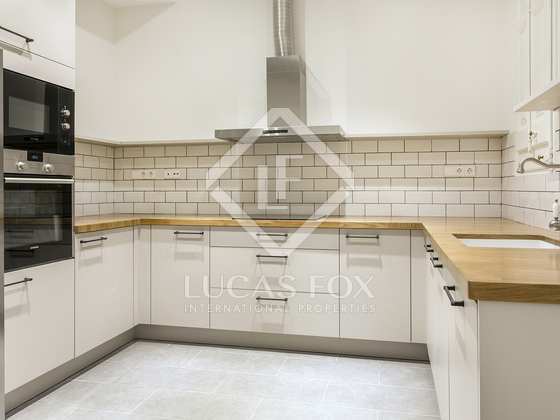 The kitchen has been fully renovated to an excellent standard, fully equipped with appliances. 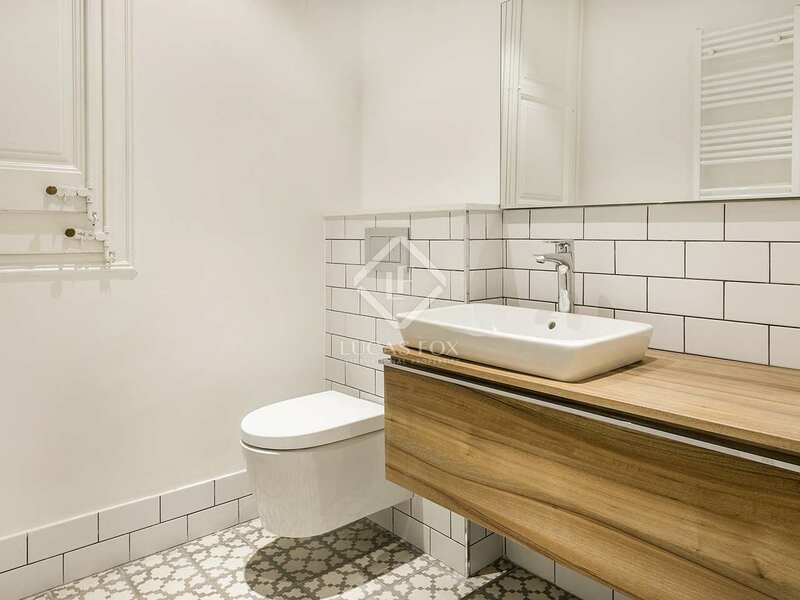 There is also a convenient utility area. 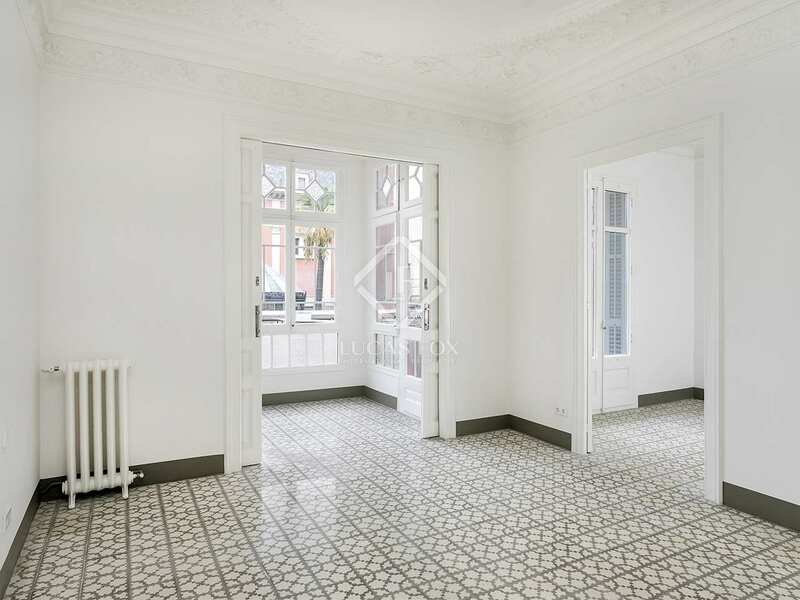 There are a total of 5 bedrooms, 3 double and 2 single, and 3 bathrooms (1 with a bath, 1 with a shower and one toilet). 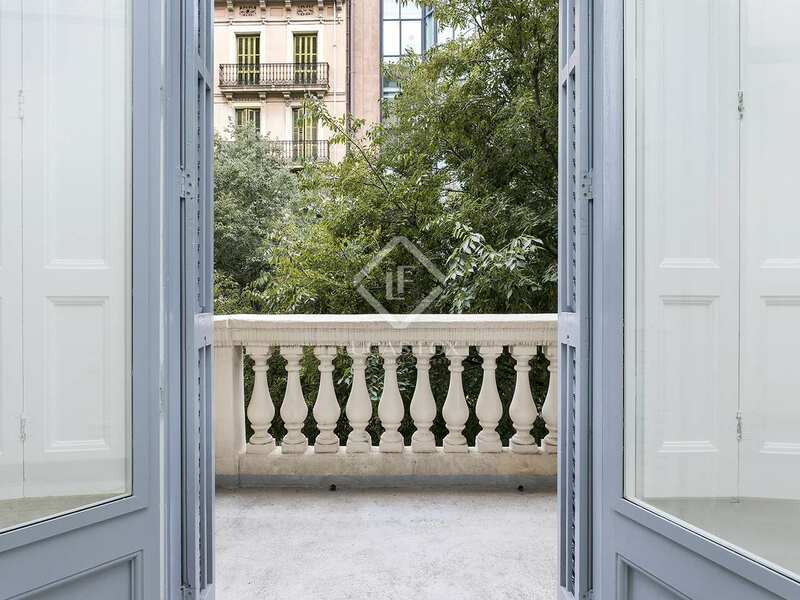 The apartment has 3 balconies of which 2 overlook the street and 1 looks out onto the peaceful interior courtyard. 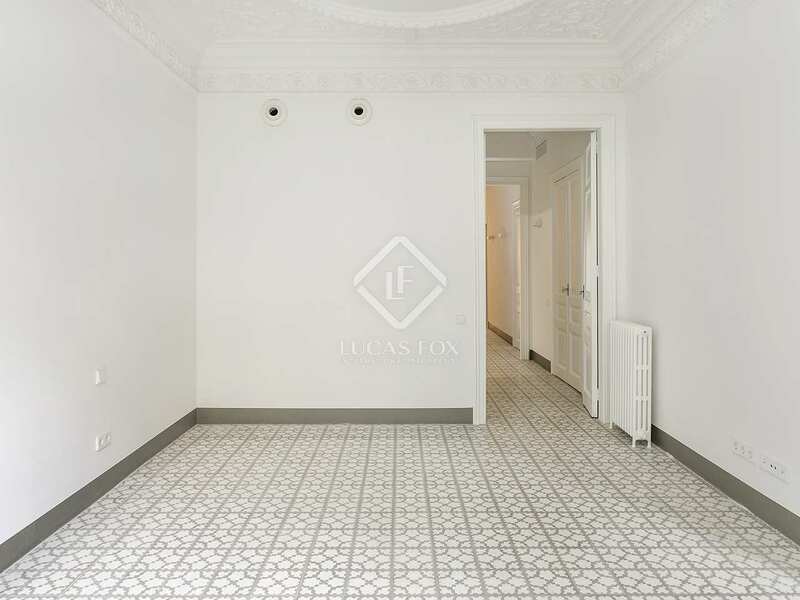 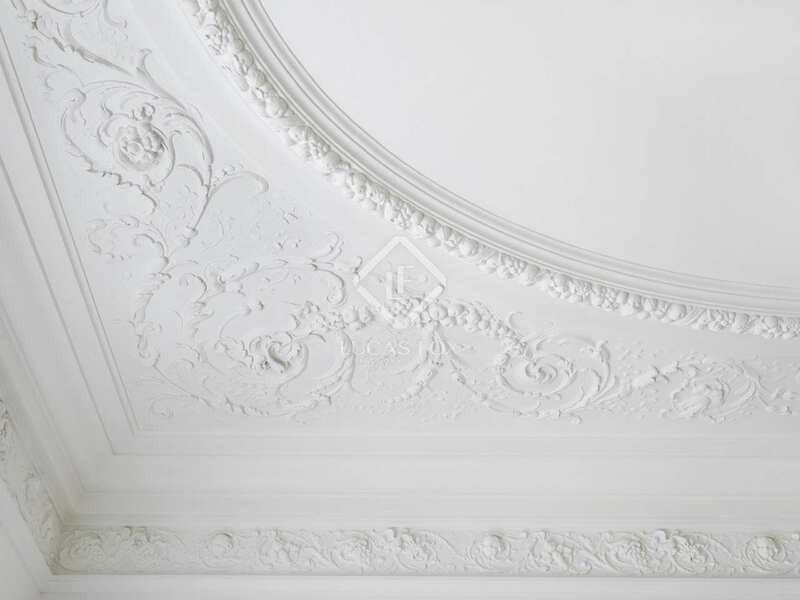 This is an excellent option for those seeking a spacious home with period features to rent in the very heart of the city. 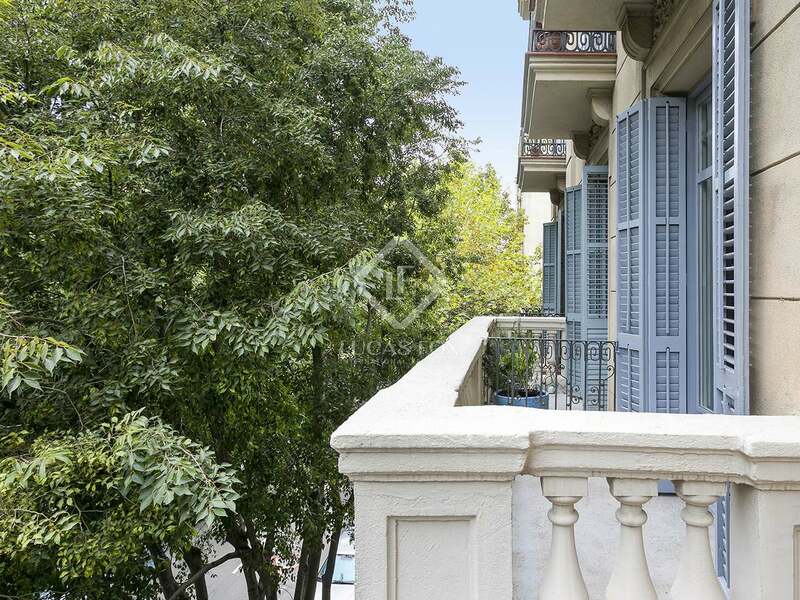 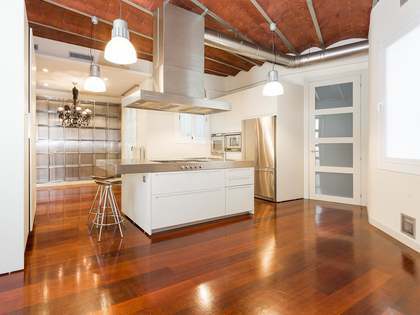 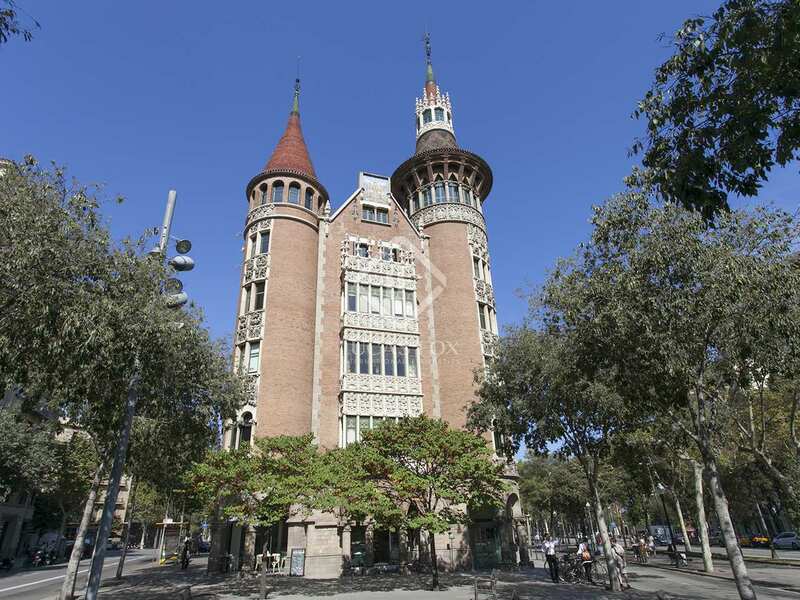 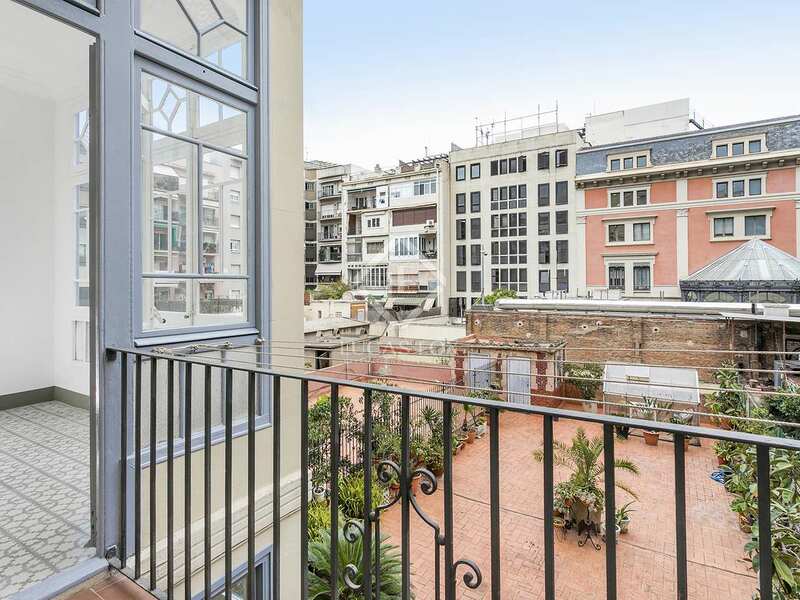 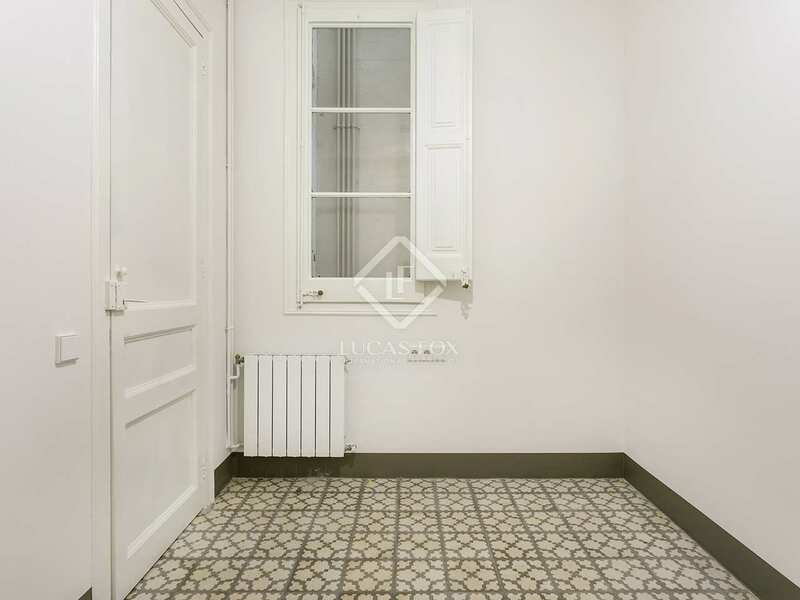 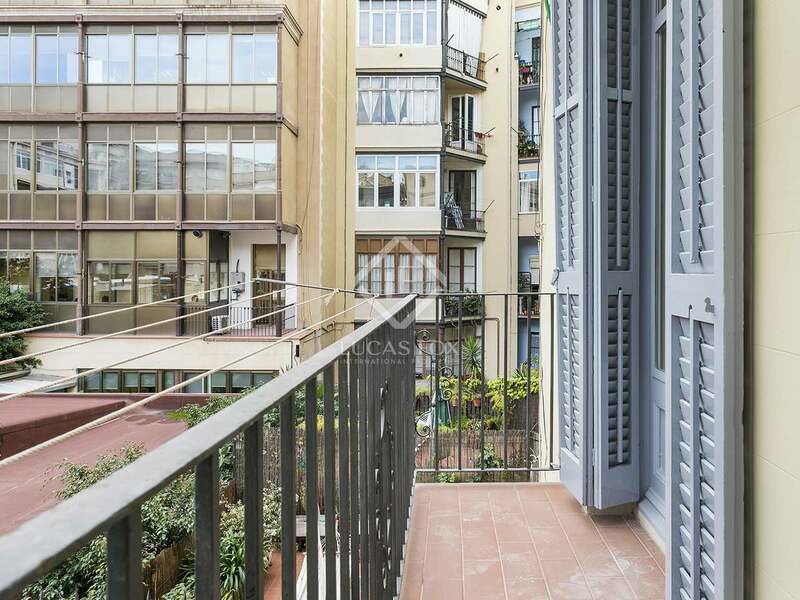 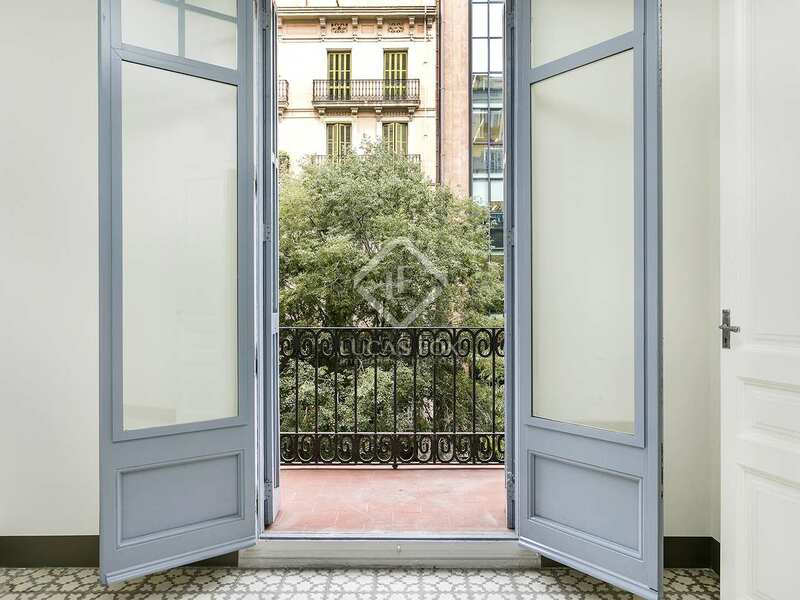 Property located in Barcelona's Eixample Right, next to Passeig de Sant Joan and Plaça de Tetuan. 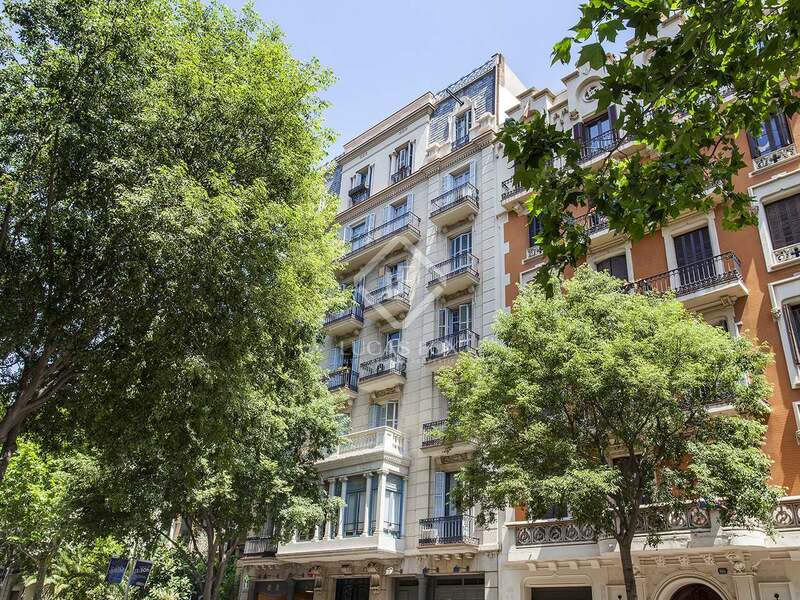 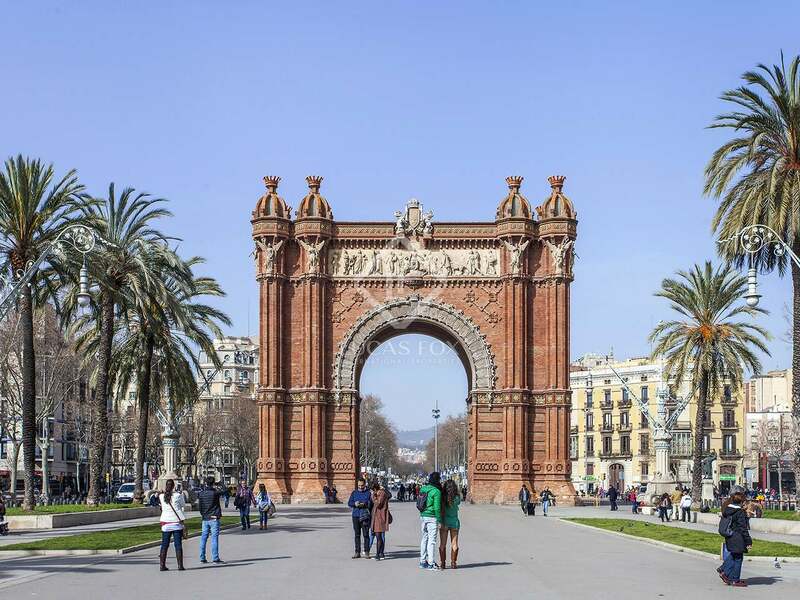 Passeig de Gràcia, Barcelona's most exclusive boulevard, is just a 10-minute walk away and there are excellent public transport connections to the rest of the city. 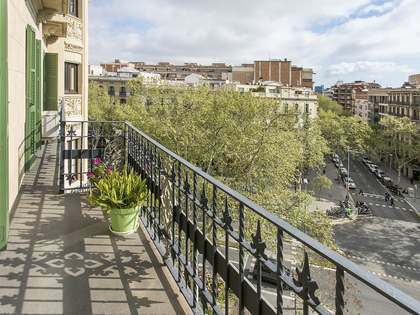 There is a great range of restaurants, bars and shops in the area as well as all necessary services.